Thank you so much for traveling with me, in my leisurely journey of cooking and more. or might be a few more fun filled, less hinder-some deeds. But this time it is a lovely theft, a cherishable theft, a heart-touching theft.. where the loser as well as the original owner of the product is anything but happy and delighted and for a moment Proud too! This theft is from my dearest daughter! What I took from her was Her birthday present. The Present was from the Past…. 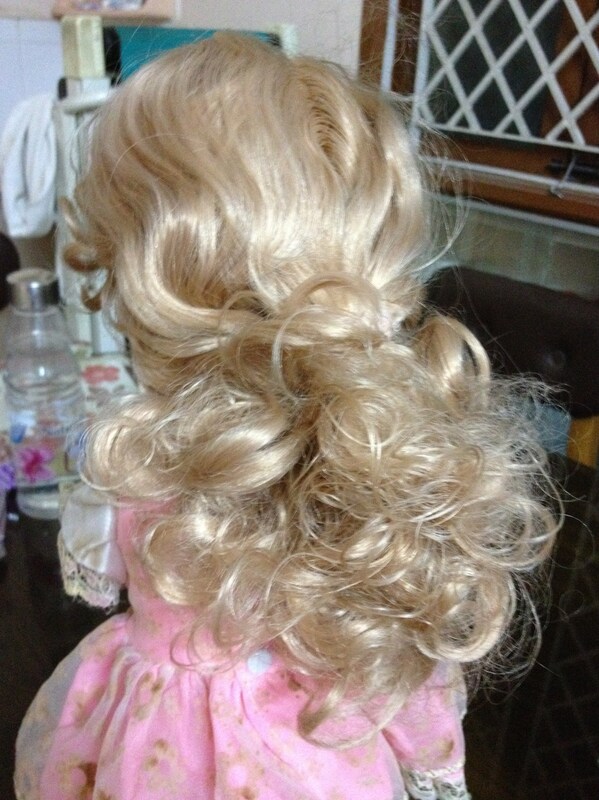 My Past…my beautiful doll when I was 3 or 4 years of age. One of the well preserved baby things.. It is a Mother-Child doll, mother putting her daughter to sleep. 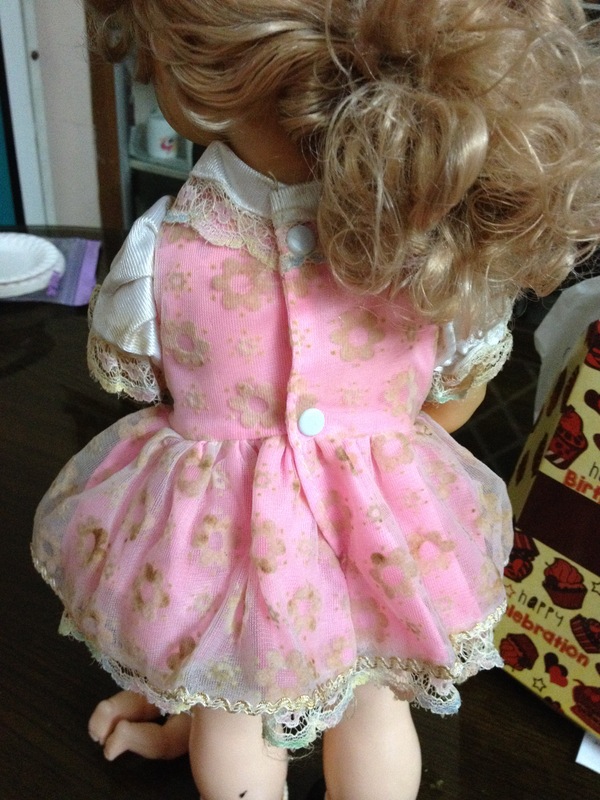 There is a key at the back as in an old model doll. The mother gently sways to the inbuilt music while the baby goes to sleep. 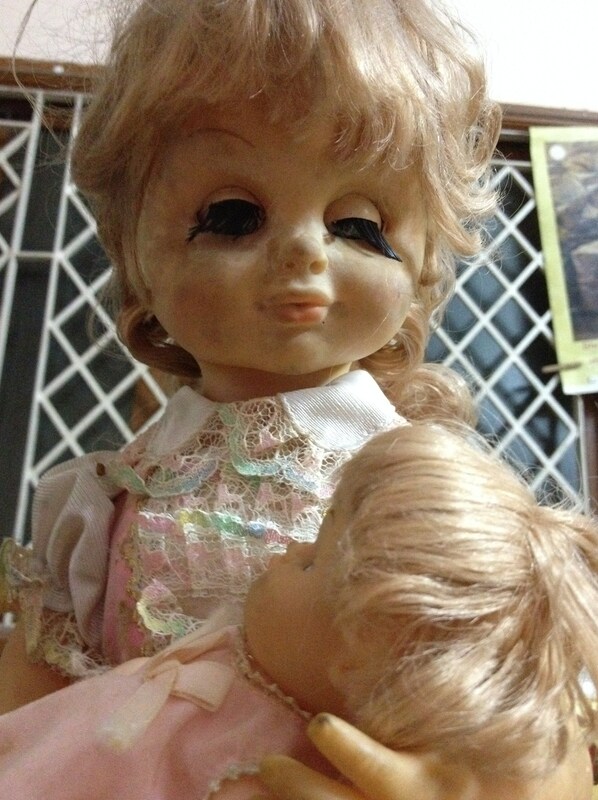 Amazing… All intact the doll still works good! Yes, Still works and the mother does a great job. By preserving such a beautiful thing of the past.. my mother too did a great job, isn’t it?Kudos to my mom. Nanri Amma. 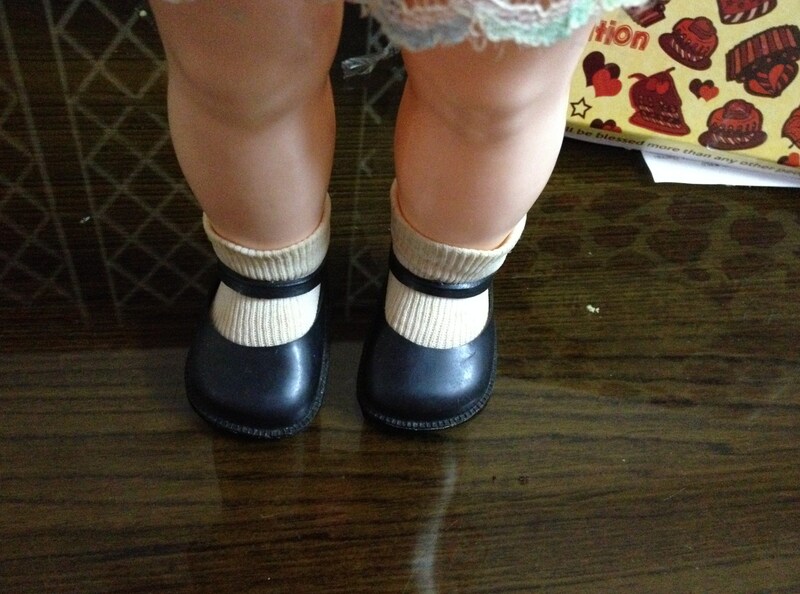 My first post says ‘Generations to Generations’ and this doll ultimately signifies that. 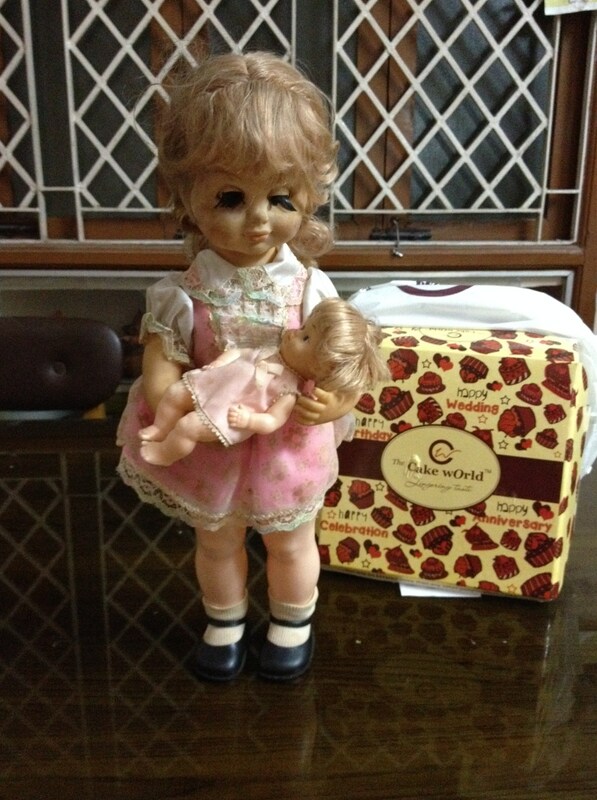 My daughter was sensationally delighted to get her mother’s doll from grandma as one of her birthday gifts. When I look back at these four years of blogging… Trying to pass on few treasures to my daughter… This year’s birthday gift that my Amma had preserved for my daughter was very special indeed! 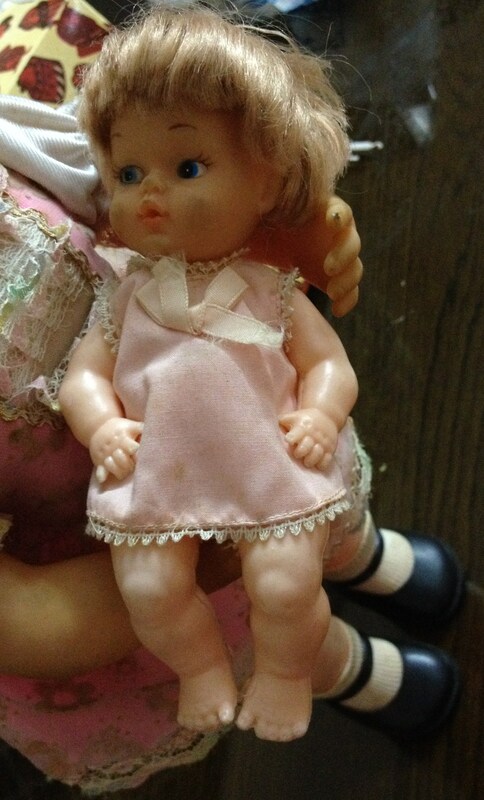 I was delighted too, to see my favorite doll after at least 35 years. Nostalgia struck me..hit me…captured me… Attach any number of verbs. This was also time for some boastful behavior. Isn’t it a pride to tell my daughter how well I maintained my play things? Also a pride to know how my daughter has taken after me in taking care of her things. A few samples of how I nurtured my possessions. Of course, a bit of ‘Boast’ can be the secret of our energies too! Oh… after this episode, I’ve started looking at my mom as a Curator. Correct me if I am wrong. Moms and Dads who preserve important memorabilia/assets are actually Curators too! Why not?? Now, to the theft thing- I stole my doll from my daughter. To celebrate four years of blogging…. of course cannot say non-stop blogging. My lovely daughter is a generous soul and she let me take her present with Pride. And the littlle brain is more than delighted that she says- ‘Oh amma, I’m so happy you made me a part of your post’. Reading more of the draft of this post, she was ultimately happy about my theft and so excited. But only on one condition.. I steal it for a day, for my post, then give it back to her! OK, Accepted. To improvise my vocabulary, she said.. why don’t you borrow from me… So, for the magnanimity of the little heart, I take away ‘stolen’ and replace ‘borrow’. I borrowed my past for this post, and gave it back to my present! We, the middle aged parental generation can effectively be catalysts in the transfer and culmination of cultural wealth from the previous to the next generation. ‘Dosaikal’ would be my humble aspiration and endeavour to transfer those mesmerizing memories and treasures from past generations to my next. hi there, though don’t have such memories of playing with dolls, but surely felt emotionally connected throught out the reading. Thanks a lot for staying connected dear.